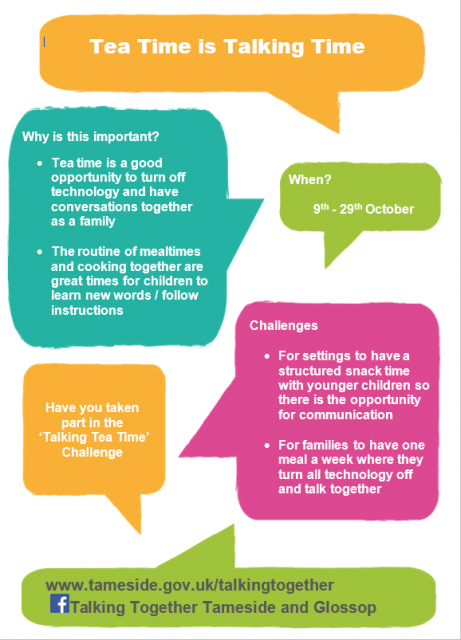 Talking Together is an exciting project launched in Tameside during May 2017, promoting the fun and value of families talking together. 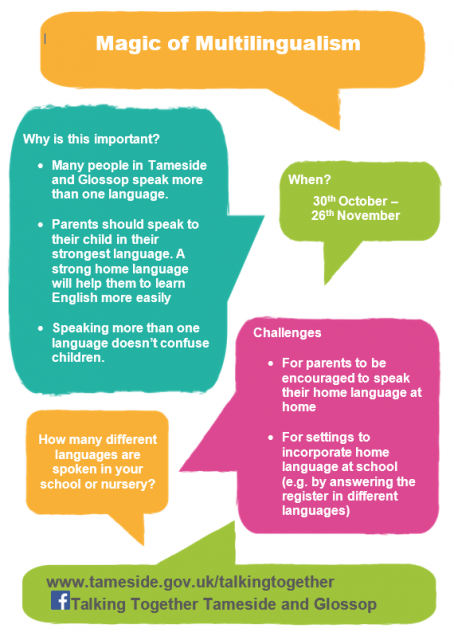 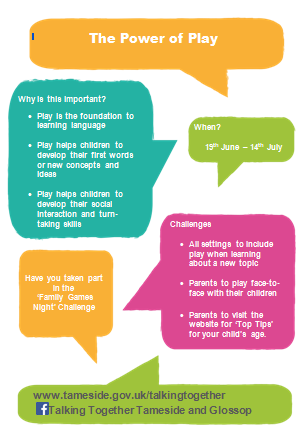 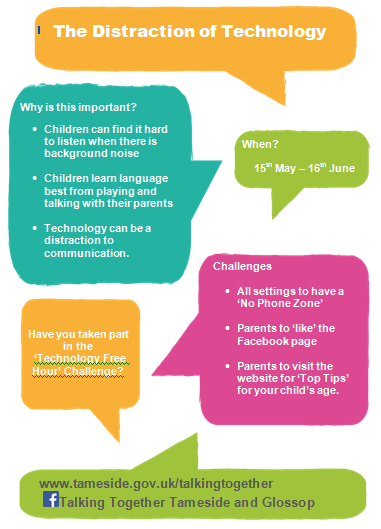 Each week there are top tips and fun activities you can do with your child at home, accessed by following Talking Together Tameside and Glossop on Facebook or by going to www.tameside.gov.uk/talkingtogether. 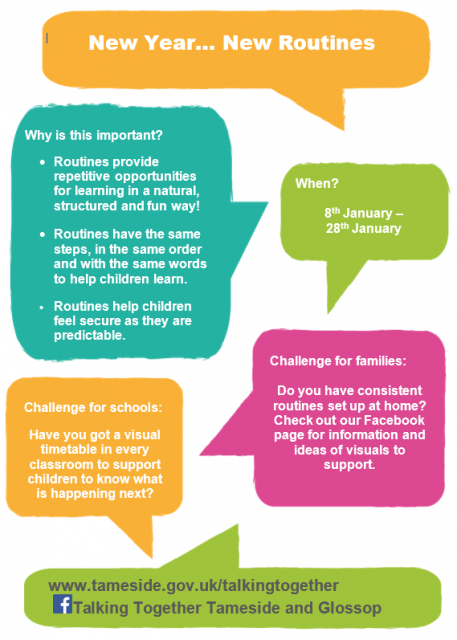 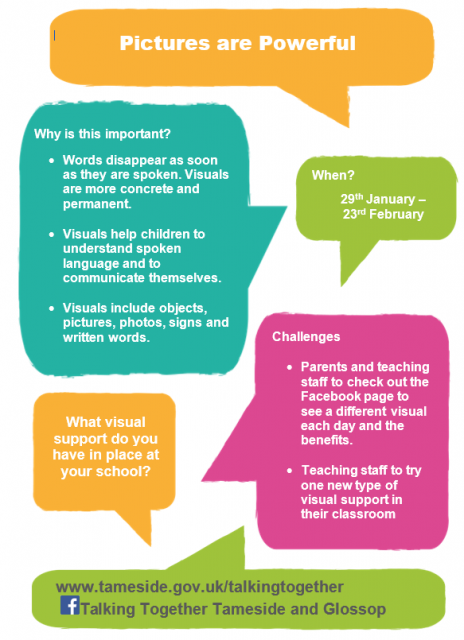 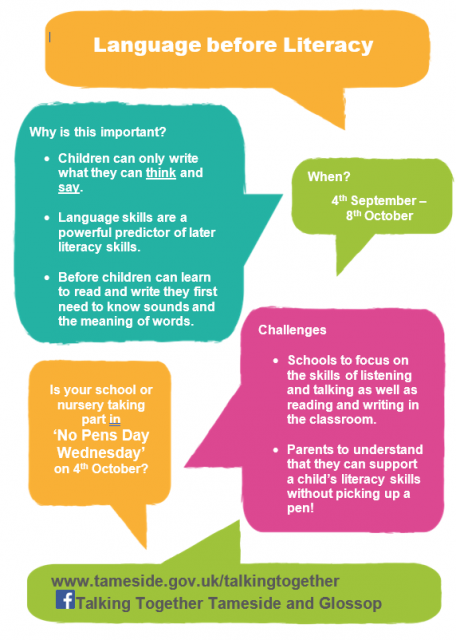 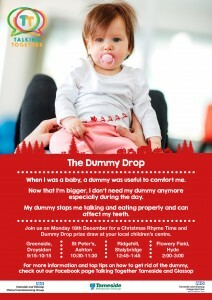 Look out for posters around school and challenges coming home with your children.